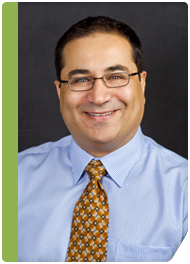 Poplar Healthcare » Ehab Rabaa, M.D. Dr. Rabaa received his medical degree from the University of Tishreen, Faculty of Medicine, Lattakia, Syria. Previously, Dr. Rabaa worked at the Department of Internal Medicine, Division of Gastroenterology and Hepatology at the University of New Mexico where he also earned his Masters in Public Health. After that, he joined the National Institutes of Health, National Cancer Institute in Bethesda for a Post-Doctoral fellowship. Dr. Rabaa completed a clinical and anatomical pathology residency at East Carolina University in Greenville, North Carolina followed by a one-year fellowship in gastrointestinal and liver pathology at GI Pathology. Dr. Rabaa holds membership in several medical societies including the American College of Gastroenterology, the Rodger C. Haggitt Gastrointestinal Pathology Society and the College of American Pathologists.